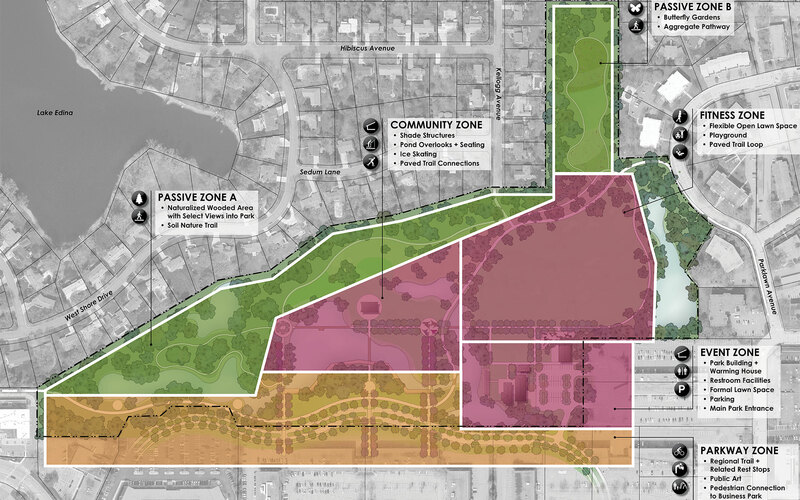 In collaboration with Schoenbauer Consulting, Genus assisted the City of Edina to define recreational opportunities for a former forty-acre municipal golf course. 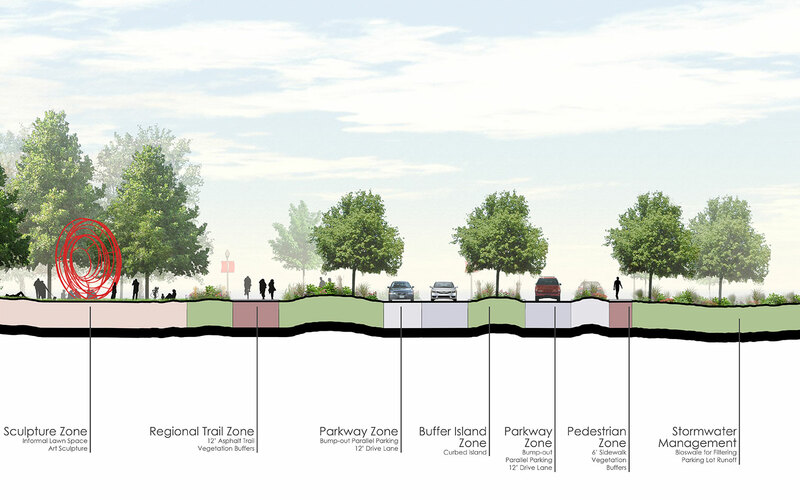 Utilizing stakeholder input, a conceptual vision plan was created to address concerns and the needs of the greater community. 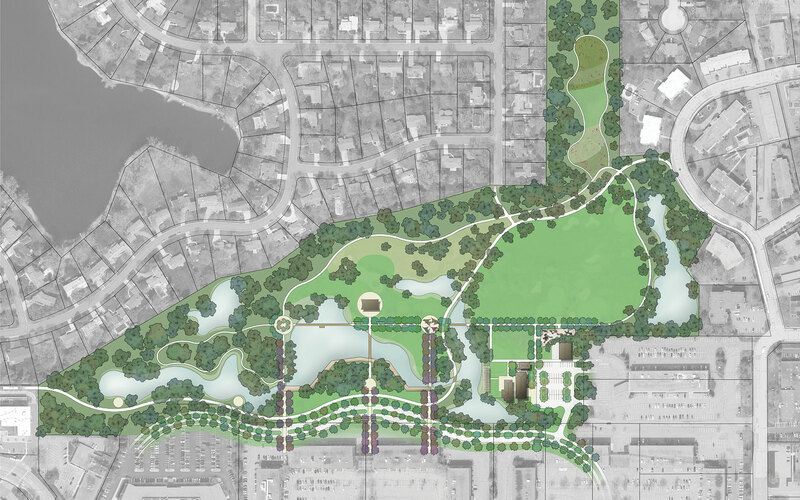 One of the biggest opportunities of this space proved to be the chance to improve water quality and enlarge the overall storm water holding capacity within the park. 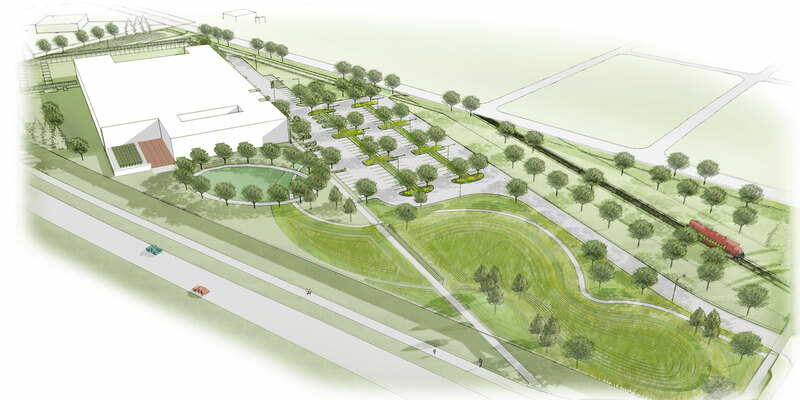 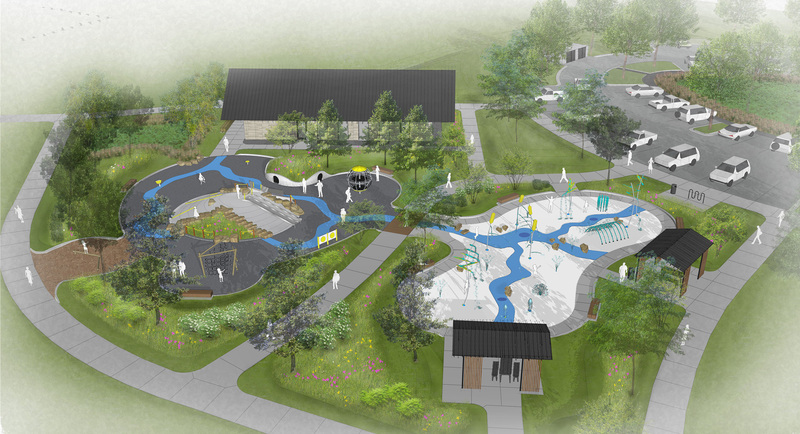 Several unique features being proposed include a themed children’s play area, outdoor event space for weddings and company functions, custom shelter, and several pond boardwalks and overlooks.